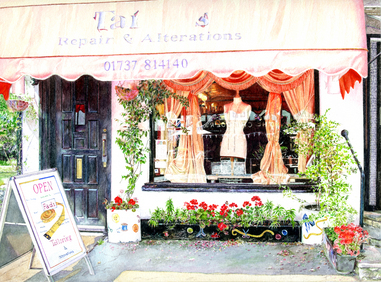 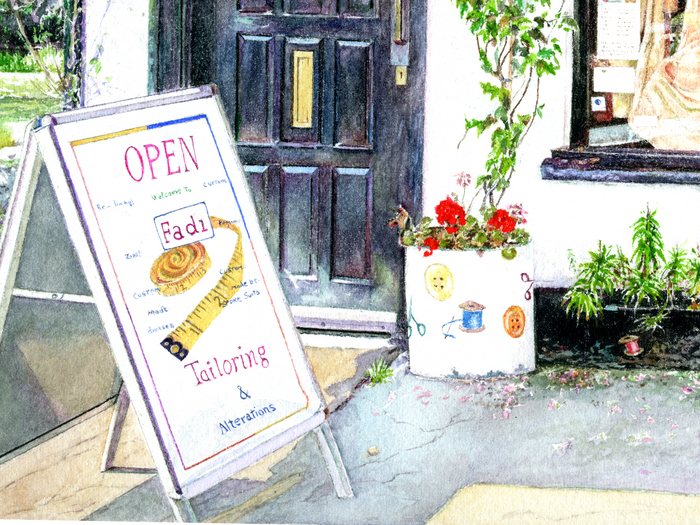 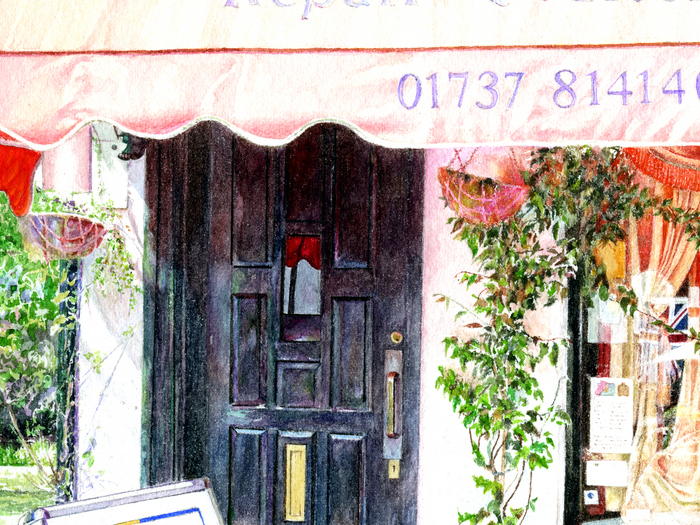 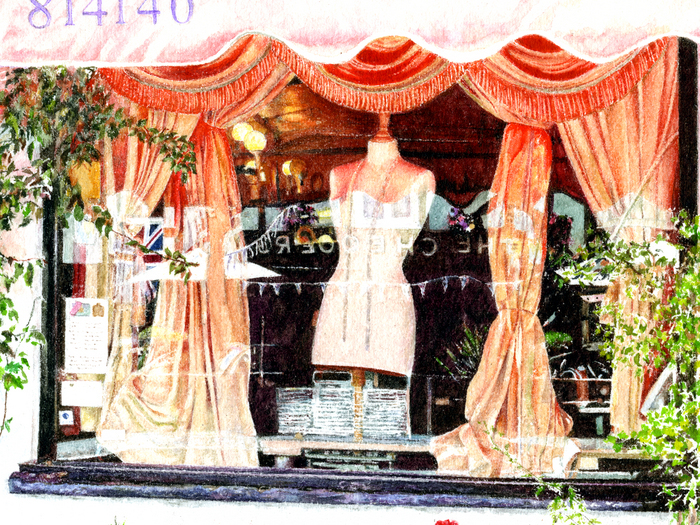 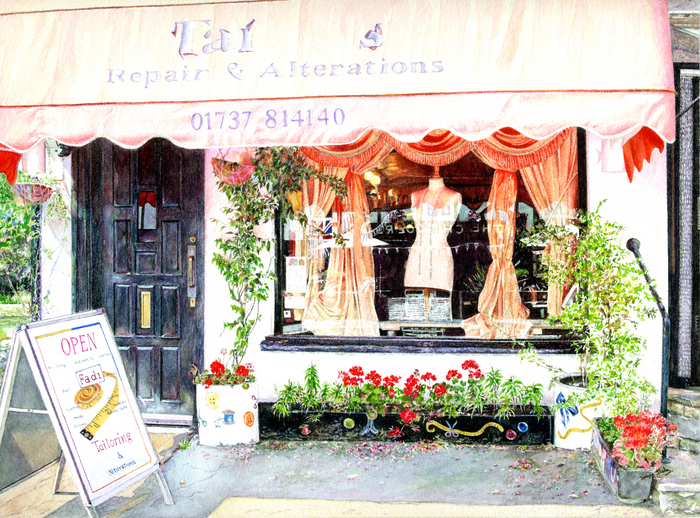 SUBJECT: A tailor’s shop in the village of Walton-on-the-Hill, Surrey, provided a colourful and interesting subject for this painting, with its tailor’s dummy and draped materials in the window, artistically decorated flower-filled planters outside, and eye-catching advertising A-board on the forecourt. 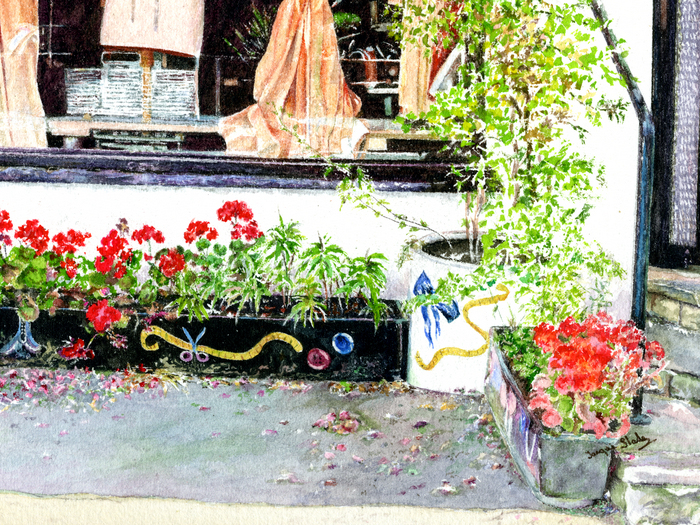 ORIGINAL ARTWORK: 11” x 8” (280x203mm) watercolour on fine art paper. 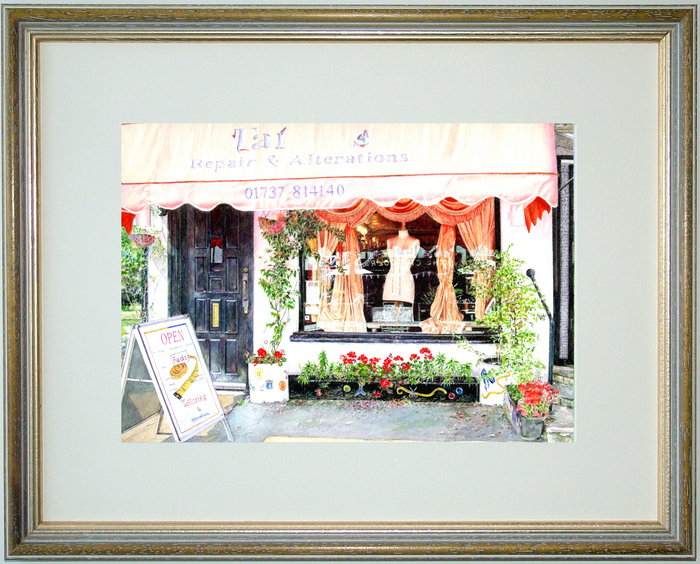 Supplied in a quality, antique white double mount; overall 16” x 13” (407x330mm) ready for framing. 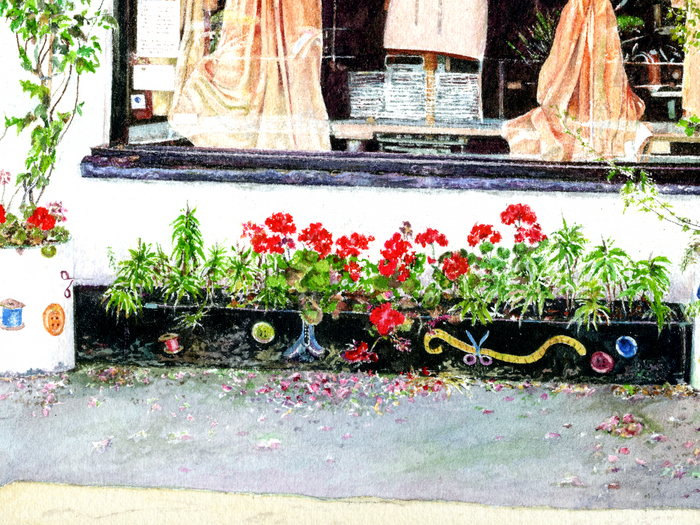 Certificate of Authenticity provided.